What Do the Most Successful Virtual Assistants (VA) in the World Have in Common? Simply stated they are “VAinsiders” and know how to squeeze every drop of value out of their time and money for their business resources and Virtual Assistant training. It’s not rocket science either. But it is hard work! And various other developmental activities to GAIN NEW CLIENTS too numerous to mention! Now there is a way to do all of the above and more. And probably surpass your own expectations for success! Literally thousands of virtual professionals already have a FREE #VAnetworking membership. That free membership provides access to an array of resources that newbies and veterans alike are learning and benefiting from every single day in their own practices. With 50,000+ members and growing, we at VAnetworking have discovered a group of you in our midst that is ready to kick things up a notch. You want something a little more “exclusive,” a “total training package” designed for the discriminating VA who hasn’t got the time to shop the forums for the best deal. You know what you want and you’re willing to pay for it. Well, no more waiting. It’s here and it’s truly the deal of a lifetime! Our VAinsider yearly membership program includes everything you’ll ever need to make your VA business ROCK and start making money right away! VAinsiders is seriously a college degree at the Masters level! Without clients we wouldn’t have a business right? We have one of the busiest and most credible job boards for Virtual Assistants for you to access! There is no easier way to get your first client than to apply to a RFP at our job board. You’ll have instant access to all of our Training Tracks on specific topics to further help grow your business. 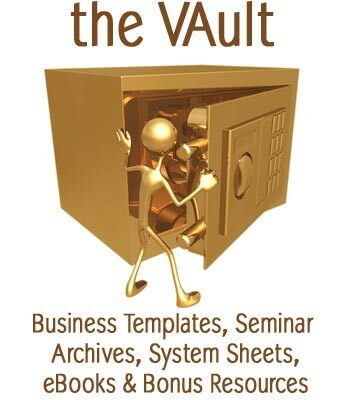 Plus inside the VAult you will find the BULK of your VAinsider training resources like business templates, webinars, ebooks, checklists, worksheets & other bonus resources. You’ll receive VA Strategy Group Coaching (2X month) sessions taught by our Founder, Tawnya Sutherland plus access to our private #VAforum 24/7 to network, discuss and strategize about anything going on in your business. You name it we have it! All the business resources that Virtual Assistants need to grow their business! We have a busy job board, group coaching, networking & collaboration in our Private #VAforum, member perks, Training Tracks, plus our stocked VAult full of business training resources like templates, video archives, eBooks, checklists, worksheets and other bonus resources. All these training resources are at the click of your mouse ready for you to learn whatever your heart desires quickly and easily. 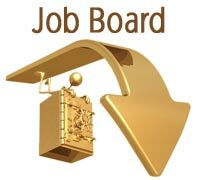 First and foremost we have a busy job board for you to land new clients. Without clients we wouldn’t have a business right? We have one of the busiest and most credible job boards for Virtual Assistants. What do we mean by credible? These are prospecting clients who are willing to pay what you are worth. These are not $5/hr jobs like you’ll find on the big job boards around the net. You are not competing here for low paying positions as the clients who come across our job board are educated about virtual assistance. They know they get what they pay for and they don’t want monkeys working for them. They come to us because they know we train our VAinsiders and provide them with the resources they need to help their clients succeed. As the market leader to the Virtual Assistant industry one of the questions we frequently receive is “Where do I start my learning process on a particular subject?” To assist our VAinsiders to clarify their ongoing educational needs we’ve developed “VA Training Tracks” to illustrate which videos/ebooks/templates/checklists in our VAult fit together to give you the most comprehensive plan for your business development in whatever topic you need (Don’t see a topic you need? Ask us to add it). These training tracks will save you valuable time searching the 1000’s of resources in our VAult to find exactly what you need and start learning. A Career as a Virtual Assistant – Yes or No? With More Tracks Added Every Month! Get engaged with other VAs who are part of our VAinsider Club at our VA Strategy Group Coaching Sessions. (Held 2X+ month).Be held accountable and motiVAted to think at a deeper level and share your successes and tribulations in a comfortable and friendly group environment. We will look at each Virtual Assistant’s accomplishments for the month as well as formulate strategies for any challenges you may be currently facing in your business. It’s also a social networking evening to JOT down everything on our minds, from introducing new VAinsider Club members to asking questions about our business needs. We guarantee it will be a fun and informative social webinar for all to hang with their peers in the VA industry! As a VAinsider you’ll be able to network 24/7 with like-minded business entrepreneurs inside our private forum area. The best topics seem to happen inside our private forum away from the sights of potential clients and the public. This is where all the top trade secrets of our industry are shared and discussed. You’ll also receive other forum perks as a VAinsider like full customization of your board profile including your signature or the ability to start polls anywhere in the forum when you need some stats for your next project. VAinsiders get many forum perks to help their networking be a breeze. Refer your friends and get paid! We’ve found the best way to promote the VAinsider Club is via word of mouth by our loyal members. Only VAinsiders can be part of our affiliate program. But that’s not all, we’ve not even talked about the VAult yet! Inside the ‘VAult’ (Get it? VA as in Virtual Assistant VAult? Thought you might like that LOL!) you will find the BULK of your VAinsider training resources. Business Templates & Contracts – Access to our business template reservoir which includes, general and legalese templates, tutorials, business plans and bonus reports. You’ll save many hours not having to start from scratch to build your business templates. Just grab one already done, edit to your satisfaction, add your own logo and use! Over 150 templates for your business success. Video Archives – Access to 300+ archived recorded video/ and podcast replays of seminars (1 hour long each) presented by fantastic and informative business speakers from around the globe. We have seminars to suit everyone’s tastes from beginner to veteran on topics like Business Sense, Marketing Power, Tech Talk and Motivate ME. All speakers were chosen to help educate, inform and entertain Virtual Assistants and online Virtual Achievers worldwide. eBook Library + Checklists + Worksheets – VAs are serious about their business and ready to invest their time into it. For further education, we’ve put together a collection of 150+ eBooks and other resources on various topics to help you supercharge your Virtual Assistant business. Social Media Marketing Graphics – Boost engagement on social media with these images that you can use as content on your blogs, Facebook Pages/Groups, Pinterest, Linkedin, your email newsletters or wherever you like. If you aren’t a graphic designer these will come in handy as they are ready for you to use in your marketing campaigns. Finally. The Straight Goods on Virtual Success. All in One Place. For One Low Annual Fee of $333. AND Get on the Inside Track to Virtual Success for $333/yr! Monthly access to VAinsiders Club which includes: Busy Job Board, Group Coaching 2X Month, Training Tracks, Private Collaboration at #VAforum, The VAult (Business Templates, Seminar Archives, ebooks & Bonus Resources) PLUS other VAinsider Perks! (Cancel at any time). SAVES YOU $111! Access for one year to VAinsiders Club which includes: Busy Job Board, Group Coaching 2X Month, Training Tracks, Private Collaboration at #VAforum, The VAult (Business Templates, Seminar Archives, ebooks & Bonus Resources) PLUS other VAinsider Perks! Perfect for NEW Virtual Assistants! My experience as a VAinsider Club Member has been nothing but positive. In order to succeed, it is imperative that we take advantage of all the tools available to us. The VAinsiders fits the bill! Not only does it offer a ton of services to it’s membership, they are extremely helpful and dedicated to each member’s success. I highly recommend them. Upgrading my membership to a VAInsider was really a no-brainer. The RFPs at the job board alone are worth the money – and as Tawnya and others have mentioned with only VAinnsiders having access to them it increases my chances of landing that client. I am still working my way through the templates and the archives of other goodies that are available to VAinsiders. I would highly recommend that others sign up to avoid missing out on this tremendous basket of goodies! It will be the best money you will ever invest in your VA business! As a new person starting out over the past few months, I was so glad that I joined the VAinsiders Club. The information and downloads are invaluable. It saves so much time with everything in one place. The support of Tawnya and all the others is so important. As the saying goes, no question is stupid. Everyone helps each other with support and friendship – like one big family. I recommend the membership upgrade to everyone. No question about it. Enjoy! The VAinsider Membership Club is the answer to your sleepless nights, your unanswered questions, your desire to be the fabulous entrepreneur you know you can be. How much did you spend on ink for your printer last year? Those brochures you’ve been meaning to toss and re-do from scratch? This year, make the VAnetworking VAinsider Membership Club a line item in your marketing budget. The return on your investment will be … well … priceless! 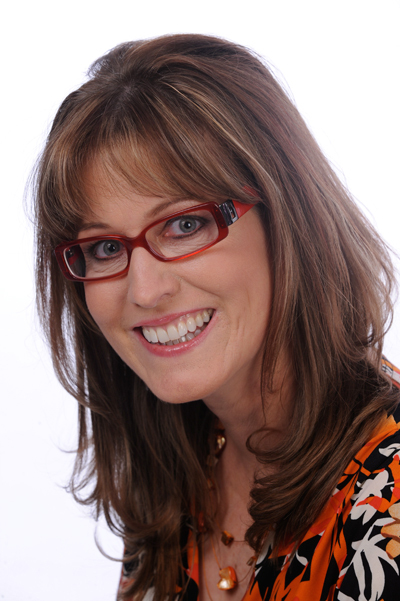 Want a 15 minute consult with Tawnya Sutherland to see which plan works best for your needs? Call to setup an appointment at 1-800-642-6313 or contact us via email.